It's Independence Day weekend, and Maria Dolores, the descendant of Danger Cove's first lighthouse keeper, is the new manager of the Lighthouse Farmers' Market. While she may be a bit uncertain about her career change - trading financial planning for flower stalls and farm-fresh produce - she's still determined to get the market into shape and onto one of the region's "best-of" lists. From the very beginning, though, events conspire against her. Her mentor and attractive local farmer, Merle Curtis, fails to show up to introduce her to the vendors, the stalls are all in the wrong place, and an earthquake shakes up everyone in the market! 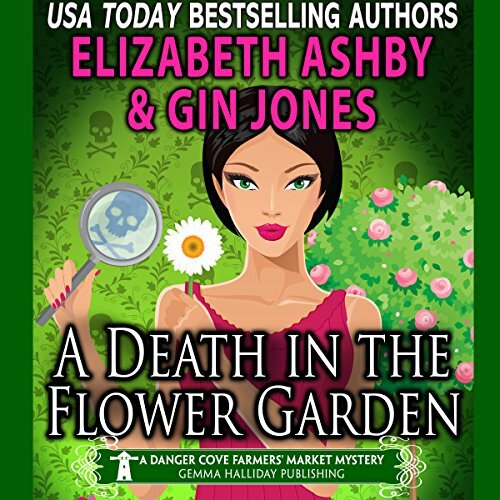 In its aftermath, Maria realizes the flower vendor is more than shaken up.... She's dead. Maria suddenly finds herself embroiled in a small-town mystery that's got everyone on edge. Will it all lead to the end of Maria's new career? Or worse yet...her life? Could not listen to this book just being read aloud. I liked all the books in this series but couldn't pay attention to this one.